And at the end of the 37 days he used his blog to announce that the problem had most probably been solved. In fact, a generalization of the original problem which they were attacking. They still had to go back and check that they hadn’t made any silly mistakes. In fact, everything did indeed check out ultimately and they wrote two papers based on it. It took months more to do all the cleanup work, but the back of the problem had in fact been solved at this point. Now of course the reason I’m talking about this polymath project is not really so much because of the particular mathematical problem. You know, it’s not important because it solved a particular mathematical problem; it’s, rather, important because of what it suggests. It suggests that we can use some of these sorts of tools as kind of cognitive tools to potentially speed up the solution, not of simple everyday problems but actually of problems which challenge some of the smartest people in the world. Yeah, that’s really exciting. These are problems right at the limit of human intellectual ability. And not just, you know, one particular problem, but perhaps broadly across many different fields. Other people were scrambling around and nobody really knew what was happening, and the little bit of information that was starting to come out really made no sense. People would see a map like this would be published and, like, what does this even mean? I don’t even know. Nobody knew. And so I started talking to Joi again, and Joi introduced me to his friend Pieter, who lived in Tokyo and had lived in Tokyo for like 35 years and had family who was in one of the areas that got really severely impacted by the tsunami. This Corbett Science Series should be part of the college Freshmen Orientation process. Great work James. I would like to hear your take on the economic aspects and implications of this anarchist way of working. Some people have tried to rebrand anarchism, for instance calling it volunteering or contributionism. How would a scientist earn a living with all this free competition? Open source science is a direct threat to the earning power of professional scientists. We have seen a similar phenomenon where I live in the music industry. Many new difficulties have been created for a working musician to earn a living including free sharing of recordings, restrictions on busking, amateur performances and many unpaid opportunities for up and coming musicians such as open mike nights and competitions, and not least the cultural devaluation of the dignity of the worker. Note that open source science is anarcho-communist, that is no state, no money. A shout out also to Pierre Joseph Proudhon of 19th century France which had the worlds strongest working class movement at the time. Proudhon advocated for anarchism with personal private property, as in the workman owns his tools and your home also belongs to you. It’s worth remembering that if we do ourselves out of the dwindling number of jobs we won’t be able to afford the toxic food from the supermarkets anymore. Competition drives innovation. If a deficiency exists in the way science is practiced and results distributed, wouldn’t it be beneficial to improve that situation? Perhaps the established scientists will step up their game to produce more reliable and accurate science in the face of “free competition.” What is open source science or open source music other than human spontaneity and free will? Fieldmouse- good question, there are some examples emerging in the Vaccine arena using GoFund Me and Patreon type of platforms to supposed experienced scientists to conducted important research like the effect of injected aluminium which is otherwise not funded. I’m not not saying that’s the only way but it is happening. The bigger question is how to convince enough people to contribute. What’s up, Fieldmouse, My name is Robert Smith. Its so nice to meet ya. I also admire Pierre Joseph Proudhon, an amazing French Anarchist Philosopher who’s associated with Mutualism. Mutualism and Individualist Anarchism are my favourite anarchist schools of thought. There’s definitely a market for Open Source and Free Culture Projects, you can even make money off of Copyleft projects like selling copies of Free/Libre Open Source Software, Games, Art, Music, etc. Free as in FREEDOM, Markets NOT Capitalism, & Let The Free Market Eat The Rich! How does Mutual Cryptocredit sound to you? I think its really cool! Homey , new doors need to open as older doors are being closed. This is one of James’s predictions I hope doesn’t come true. He is Man-on-fire prolific in quantity content and quaility output lately. Tick-Tick-Tick. Burning daylight.? This series should be an addendum to the Big Oil series as it ties in with Rockefeller snake-oil institute funding of research avenues which beyond this have come to a head with the Thanos media whitewash blitz which conveniently omits political $ backing and stacks burden on the 19 yr old cult of cultural elitism prodigy. The fake-it till you make it credo is creates a major avenue for investment shell games and the same goes for IT/tech industry/biometrics which all ties back into the global technocratic agenda. Just pepper MMT and stagflation into each state economy as an attribution leading to Demographic Crunch in which technoracy implementation becomes necessary to prop up to big to fail businesses and too big to fail economies that are beholden to the umbrella of central banks and the controlled demolition of individual state economic soverienty subsequently exposing the levels of incorporation/share-holders of each state, which are openly traded/bet upon. Another aspect to consider within this consolidation of power and planned destruction of istitution & celebrity as a product of stagflation which reminds me of the Wiemar shift to National Socialism, where large assets, art/media, & science/philosophy schools were gobbled up one at a time during this period. I was reading about German International lawer who wrote law during this period and how laws were molded to support agenda and how these same laws transferred after the fall and he faced no retribution. I see a parallels on a global scale to these trends, but the time-line seems to be on steroids. All that is needed now is the staged distraction of war theatre to fascilitate the official transfer of energy assets. Im curious to see how the BRICS will effect the reshuffle period though. 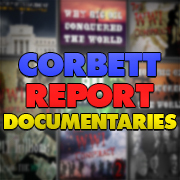 I was talking to the AV Tech guy at my son’s school and he said he likes listening to podcasts during work and said, “have you ever heard of Corbett Report? James is my favorite” … his work is prescient! As a matter of fact I have. First person I have met whom I could talk to about fun James Corbett works. 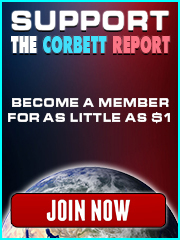 Great- I always give The Corbett Report as the first place to go for normies to learn new stuff …mostly his videos on climate…but I haven’t heard back from anyone. I give him much credit in awakening me. Thanks! He just hooked me up with couple of bottles of oregano extract, 20% solution gratis. Open source only works when there are no patents nor other IP protections. A good thing is that this often breaks the elitism within science. only if you follow support the leader(s), you can get into the community. Who do you think controls the science? – There are many elites in control, they own the journals. and different agencies of the government. – The CIA controls and keeps a lot of interesting research. – The NSA is very close to the computer industry and computer security. – The laboratories like MIT are controlled by the FBI (who are payed again by the US organized crime). What do people want to hide by manipulating science? 9/11 truth – buildings don’t fall with free-fall speed by themselves. bad medicine – why cure, if you can earn more with endless “treatments”. bad astronomy – astronomy already has many errors with the first star. This may damage profits. So better hide the laboratory results, and suppress any deep research into the real causes. (CIA reports show how non-ionizing EM-radiation can damage cells without even heating them. But almost no-one in science knows this fact). a straw-man and ignore the truth. This is usually because it breaks their belief or trust. And it breaks with their community. Yes, many scientists have a very strong bias. archeology – why are everywhere pyramids that are also much older? doctors – why is the psyche of patients determining their health? Why are their near-death-experiences so similar and life changing? physics – what the f* is a particle? All relevant questions. I’m a doctor trained at prestigious schools, I had (still have) to unlearn most of what I spent years becoming an “expert”…in quotations because though society and my profession would say I’m an expert (true I have a lot if specialized experience) turns out much of the “science” in my field is bias, certainly in its interpretation and teaching to physicians in training, so this really does limit my “expertise”. Also doctors are not scientists, I can read the scientific literature and I’ve participated in clinical research (more than the average doctor) yet I would not call myself or my research colleagues scientists yet many do without hesitation! Good medicines and prevention (also via vaccines) can have benefits. 1) how certain diseases do disappear or lessen with vaccines. 2) 100% vaccination is not necessary for eradication. 3) Even with 100% vaccinations diseases can spread. So there is a good side. I think one problem is that the “autism” is actually a reaction to the mercury or lithium or some other component with a side-effect on the brain. The effect is called “vaccine-injury”. There should be more awareness about the hazards of vaccines. Magical solutions are like creative accounting in shifting the forms and meanings so as to seem to have solved or mitigated a problem when it has simply been suppressed in its original form of expression to operate – perhaps insidiously – via other vectors of expression. In this sense science operates the magical realm of manipulating belief and expression – except of course it is not science – but scientific tools, behaviours and appearances used for personal and political or private agenda. When a corporate cartel grows FROM or as a result of technological investments and applications of science – as in the Energy cartel -it becomes the funder and director of the directions that are followed or ignored – as well as a extreme influence in what is given media attention and acceptance or not. Cartel influence then extends to any and every vector of control for necessities of life – such as food water and medicines as the director and owner of caretaking such needs as well as the use of psychological research to generate a new set of needs rising from the suppression of mutual society of meeting needs into the manipulative ‘care-giver’ – where ‘care’ is only as protective as keeps the racket safe. The overall result of corruption under a corporately managed and suckled life of technological expansions that make the user a mere unit of utility – whilst outsourcing intelligence to a private but corporately controlled systems-management aimed and targeted as a technocratically run global conflict and sickness management system. This is where I came in – with the magical wish to deny and dissociate in a displacement model – bought, sold and traded in as real and accepted currency of thought and experience – instead of honest acceptance of a problem where it is – and in its naked form. Fear is itself a conflicted purpose running in one mind that when such purpose is persisted in, generates division as a sense of struggle in which order is sought within a chaos that is not truly or fully embraced or accepted as it is – but only as a private agenda seeks to imposed upon it. This focus in define (in order to) predict and thus control is the active undermining and corrupting influence that has particular refinements of expression in technologism at expense of science – because it is only concerned with anything true in the terms or framework of what can be used, exploited, marketised or weaponised for the presumption of possession and control as a private right held over a wholeness of life that is ruled out by the conflicted basis from which fear drives the need to rule over. Fear and ignorance are the same where a fear is believed and given allegiance protection as the mind OF power and protection. So fear needs to call us awake as a dissonance to be questioned rather than to be protected from by externalising or projecting away from a resulting unconsciousness. It is due to the sun’s activity. …Both studies predicted sun activity similar to the Maunder Minimum of the mid-17th to early 18th centuries, which coincided to a time known as the Little Ice Age, during which temperatures were much lower than those of today. Yes – but through the nature of electrical charge relations that are ignored, underplayed or ruled out by mainstream models of narrative identity and control. Open source projects, especially the quintessential computer software, are outstanding in scope, collaboration, and innovation, but they have far too many drawbacks that limit their usefulness. The decentralized structure makes them particularly vulnerable to disagreement, in-fighting, and fragmentation, and being open to the public, they often suffer from limited funding, development, and polishing. An open-to-the-public approach is not itself a good solution as fieldmouse (previous post) pointed out. Demanding free publications, data, or work undermines the just compensation of eminent scientists (as it does all other professionals). Before this can happen the public must rethink “free” from being something to take advantage of to something that I, as an individual, can assign value to. In this way, I can willingly form my own contract with a service/product provider and pay them what I think their work is worth, and they can decide if they get enough or need more, and can decide to privatize their product/service or petition for more from the community. Why can’t economic and social activity exist between two agents? Is the intermediary we are so accustomed with necessary or just a parasite? The idea that any scientific experiment should be repeatable implies that the details of how the experiment was conducted needs to be disclosed fully and freely. The mistake we have been making is letting private technological research be labeled as “science” in the first place. This episode fills me with hope. Much needed, I might add. Some Corbett members raise some important questions surrounding the implications of “Open Science”. I don’t think that Corbett, nor anyone else, see this type of model as a panacea (i.e. ‘a solution or remedy for all difficulties or diseases’). I would like to emphasize the last 5 paragraphs of “Episode 354 – Solutions: Open Science”. Just by the fact that Corbett has put forth this “Science Series”, just by the fact that Corbett Members and others are posing questions, problems and potential solutions, and also promoting these (which the MainStreamMedia does NOT do), we are participating in a better evolution of Scientific knowledge. More and more often, I hear mention of this ‘Science dilemma’. On several occasions in past comments, I had mentioned Carey. QUEUED VIDEO interview (3 or more minutes) discussing the Science dilemma as it relates to Monsanto/Bayer. The full presentation and Press Conference by Robert F Kennedy is so cool to see, and very educating on vaccines/industry influence/CDC/FDA/ etc. …Surprisingly or perhaps not, the other panelists on the “Science of Vaccines” forum (three Yale professors and one pediatrician) cancelled their appearances at 11:00 p.m. the night before the event. Robert F. Kennedy, Jr. appeared at a press conference and forum today (March 19) to debate the topic of vaccine mandates at the Connecticut state legislature. Speaking in a legislative meeting room and by audio to an overflow room—packed with hundreds of parents, vaccine safety advocates, the media, and CT state legislators—Mr. Kennedy educated the crowd on Pharma/government corruption that has led to the unprecedented epidemics now claiming the health of over half of our nation’s children. Wednesday March 27th, on Kennedy’s “Children’s Health Defense”, this Anti-Fluoride article appeared Warning: Don’t Swallow The Toothpaste…Even Though it Tastes Like Candy. The video (3 minutes) embedded in the article is pretty good. Allergies – such as allergic reactions to peanuts, foods, or other environmental exposures. This is an interesting tidbit which Robert F. Kennedy mentions when talking about the aluminum in vaccines around the 41 minute mark. Basically, the aluminum prompts the body’s immune system to go into hyperdrive. If at the time, a person is exposed to something like peanut oil or eggs (in the vaccines), or rag weed pollen or mite dust, then the body’s immune system targets that category as an “invader”. Thus allergies. It’s not to say that all allergies are caused that way, but certainly the aluminum mechanism might cause them in some people or animals. Celeste McGovern’s article (bottom of this thread – March 25 article) shows some of the growths which occur as a body’s immune system responds to the aluminum. Melissa Gallico, in her book, talks about cystic acne being caused by Fluoride. I personally believe that the mechanism is similar…that is,“granulomas” – cyst-like nodules of white blood cells loaded with the neurotoxic Fluoride. For much of my adult life, since the very early 1980’s, I have had some dime to nickel sized cysts on my back, like a big zit which wouldn’t really pop. About 6 or so years ago, I even went to an alternative Doctor to have her cut out one of these so-called “sebaceous cysts” which had started to get larger. Dog gone!…these cysts have been fading away. Errh, uh…Well, one cyst exploded one day after taking lots of seaweed for the first few weeks. It surprised me. It had been there for a decade or two. Kennedy is a true inspiration in his work. A principle in the vax idea is to Invoke fear of attack and smear by association. While deceits operate in the mind – the direct injection of neurotoxins into the blood that then pass through the blood-brain barrier is an attack upon the functions of the life-body and is not necessarily temporary in terms of the lifetime. Thomas Cowan’s recent work on vaccines and immunity is a worthy read. Kennedy’s Children’s Health Defence is not only truly informed but strategically engaging a system of deceit by the use of Law. That guy can sure swing the passion! He got some heat for that speech in Austin, Texas, because he mentioned Jews. The media twisted what he said. There is the counterpoint here that science set its own PR foundations in such ideas as banishing or eradicating disease as the undoing of ignorant superstition to the revealed science of germs and etc. So this movement of a technologism as the ‘answer’ was pushed as ‘Tomorrow’s World’. I surely don’t need to explain here that we have thus been deceived and as a result become enslaved to sickness (and conflict) management systems Inc. The true nature of disease, sickness and dysfunction is then OPEN to being considered anew – and not through a glass darkly – as in through the lens of the attempt to EXTERNALISE and eradicate aspects of who and what we are – as if to GET RID of hated and feared so as to protect a bubble against what can only then be seen as a hostile and threatening terrain. Having said that – we are already heavily invested in exactly such an identity and belief and so coming off the meds or releasing allegiance to self-limiting division is not helpful outside or apart from a free willingness of awakened recognition of wholeness and responsibility for consciousness against deceit. That the terrain is the primary vector of the expression or conditions rather than a rogue, active pathogen is pointing to our alignment and attunement to the field of relation instead of under the distortion of a rogue active wilfulness set against others and world AS against our self. IF you can get a glimpse of what I said – then there is a key to a basis of misinterpreting everything, everyone and our very Self – the uncovering of which is a release of a great burden rather than exposure to damnation or penalty. Humanity – WE – are not the virus – but human thinking – accepted and acted upon – can and does behave in such a way as to bring us to such a sickness or Call to wake. Not to a nightmare – but to the awareness of the dreamer and therefore the capacity to choose anew, where before all seeming choices were set or framed to keep a living choice hidden. There is no way to reach an unwillingness to hear. But there is a way to acknowledge the power that is in them to make choices as the basis from which a better or more truly aligned choice can be made – and creative ways of doing so. As offered elsewhere on this page – seeing the problem where it is, naked of its framing mind, is where a choice to SEE – opens in place of seeing through the lens of its definition or diagnosis. This broadly translates to a truly informed choice – where information as to the true nature of the choice being made is freely shared or available and finding alignment in a true choice supported rather than manipulated. E-book Just published last month … more bad news for Science in crisis: “Death of a whistleblower” by Dr. Peter Goeztsche. He is a well respected physician and one of the well-known leaders of the Cochrane Collaboration, before being unceremoniously ejected by the now corporate leadership described as “power-hungry technocrats”. Cochrane Collaboration in medicine was the quintessential Open-source science. It appears the corporatist agenda is to subvert it and to possibly implode it from within. The US Cochrane centre voluntarily closed in 2018 after 25 years of functioning based on unpaid volunteer work by clinical researchers and statisticians because they could no longer tolerate the BS and bullying à la corporate style. Mission Accomplished for the technocrats! I just started reading it and I would recommend others to do so if interested in Medical literature. A free sample of first two chapters is available on Amazon for kindle. I think that lawsuits might be a tool to help bring to light better science. By the way, as the video rolls on, Kennedy just tears apart the CDC for the sham it is, along with exposing the FDA. By the end, Merck looks like dog doo doo. I’m sure that other Corbett members can think of examples when lawsuits helped to flush out the facts and science. While I grit my teeth regarding “law and the authorities which carve it”, I have no problem using it to our advantage. I think another method in which we can all participate in Open Science, is its application (or choice not to utilize). Urban Farmer Curtis Stone interviews Vanessa Hanel of “MicroYYC” about Biodegradable Packaging, Localization, etc. Previously, on several occasions at The Corbett Report, I had mentioned: “an excellent researcher/journalist, Celeste McGovern“ and her article ” “Ozone gas: reversing tooth decay” published at “What Doctors Don’t Tell You”. She covers many relevant topics, often offering potential solutions. For example, Celeste McGovern states “…Professor Exley himself drinks over 2 pints (1 liter) of a silicon-rich mineral water every day, “the only way that I know to help to protect my body from the possible toxicity of aluminum.” in her article “Poisoned in Slow Motion”. 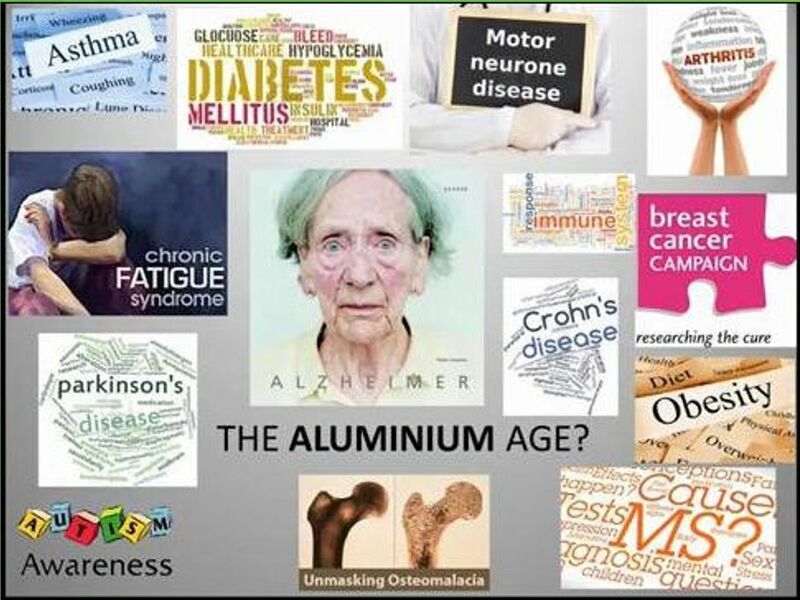 It is a very interesting article which covers different documented aspects of aluminum harming the body in humans and animals. Celeste McGovern is also highlighted on that webpage. While not a short read, Celeste captures the interest of the reader in the way she tells the story of how good science becomes the victim of a corrupt system. I admire writers like her. I support them. The “Celeste McGoverns” of the world are part of SOLUTIONS. In the spirit of Open-Source solutions, at least when it comes to medical science, “open-journals” is the way to go including putting “anonymous peer-reviews” available to be seen and judged by all. Regarding the Cochrane fiasco with the central “leadership” ousting highly regarded board member and long-time scientific collaborator and medical-industry-complex critic, Peter Goeztche, at least 4 others board members resigned in protest. I think the solution is to start over, replicate a parallel organization as they were usurped because of their independent successful model and reviews of medical interventions. Try to starve the competitor. It’s hard work but I think the scientific community would see through the current shananigagans and support an authentic group freely and collaborating for the public good as once was their sole mission. Actually, that is a wonderful idea. There is an army of ‘alternative’, dedicated professionals out here. Eventually, it could end up being the “Go To” source for reliability. I also donated to Prof. Chris Exley at Keele University – the world expert on aluminium and human health – as aluminium is in many vaccines, this is very important research (imho). GoFundMe have returned my donation. I suggest redirecting donations direct to Keele University. Apparently GoFundMe are now refusing to accept what they call ‘anti vaccine’ causes, although surely vaccine safety research is not anti vaccine, but about vaccine safety. There are alternatives to toxic mercury and aluminium. I love Chris Exley. Watched another video yesterday (on adjuvant mechanisms). This past week Keele had their annual aluminum conference. This is scary stuff for me…and some of the comments on social media are also scary because now I am called an anti-vaxxer simply because I reported the science on aluminium in human health. I have Chris Exley featured on our DallasForSaferWater.com website on the NEWS webpage. We all know that Fluoride is extremely difficult to filter out of tap water. This aspect alone is alarming, because Fluoride can easily penetrate the blood brain barrier. The body cannot ‘filter’ Fluoride from entering the brain like it can with some other toxic chemicals. Thus, Fluoride might carry Aluminium into the brain. Dr. Chris Exley about CHEMTRAILS and Aluminium. At Texas A&M in 2008, I ran tests for aluminum before and then after chemtrail activity. Spend 6 minutes with Dr. Paul Connett as he explains how Aluminum and Fluoride work in concert to mess up our bodies. This information by Dr. Connett is of massive importance, because it has broad alarming implications. G PROTEIN – [0.] It is called a “G Protein” because it contains “Guanine”. In the video, Dr. Connett explains how Fluoride and Aluminum hijack the “G Protein”. CBD (Cannabidiol) works by facilitating the body’s endocannabinoid system. If the G Protein is not functioning correctly, then the endocannabinoid system doesn’t perform optimally. Fluoride and Aluminum impair the G Protein’s function. [0.] G proteins regulate metabolic enzymes, ion channels, transporter proteins, and other parts of the cell machinery, controlling transcription, motility, contractility, and secretion, which in turn regulate diverse systemic functions such as embryonic development, learning and memory, and homeostasis. [8.] CBD enhances the body’s G Protein receptors (called CB1 and CB2) to respond to the naturally made endocannabinoids which the body makes. Knowing what we know about propaganda use from the past, we shouldn’t be surprised by what we come to realize as the state of science today. William Stead, of the inner circle of Rhodes secrete elite, was adept at creating, steering and delivering a narrative devour, to the appointed time and place. Without the populace even knowing of its insidious plans. A preconceived notion injected into the social conciseness to support some well thought out agenda well into the future. As of today science has been corrupted, co-opted discredited. I submit by propaganda to nullify it being used as a weapon in the future as it was used in the past . A wonderful use of proper prior planning that positively prevents poor performance. The plan thereby denying experts of differing opinion the tools necessary, now considered invalid in the populaces mind, proof of any claims against the machinations of TPTSB. Very devious, very long in planning and implementation and as I said , planning for all contingencies. That is what the state of science is in today . Maybe it is time to scrape the present morass and start anew. Now where to begin? GBW, you have a high P Value there. having a harmful effect, especially in a gradual or subtle way. …harmful, damaging, destructive, injurious, hurtful, detrimental, deleterious, dangerous, adverse, inimical, unhealthy, unfavorable, bad, evil, baleful, wicked, malign…. 😂 Homey you should have been a scientist. TPTSB may have thought twice before sacrificing their cash cow tollbooth to the byway to hell. Perfidios would probably be my preferred pronounced pronoun. However, TPTSB will certainly know how to prevent slippage or shrinkage. Im referring to THE POST TRUTH WORLD topic of discussion at a recent Bilderburg gathering. How many resources were dedicated by the committees to counter humanities natural progression to Proudhonism one can only speculate. However Science is in crisis, and the tools we need from science have generally been thrown under the bus. So what other categories for the Post Truth World is being memoryholed as once trustible now despicably Perfidios? You see and I think you know ” we must be keep off balanced”. Corbett has it made, just to pick any one, dejour. Transfer of knowledge ie the internet, transfer of people, transportation, Trashumanism, the transfer of humanity to a machine, the climate, weather control, transfer of wealth and property , viola’ The Green New Deal, Food, medicine, water ect.ect. Any one of these can be sacrificed for maintaining the imbalance of humanity with little to no effect to TPTSB. Science Smience! You say Pernicious I say Perfidios that’s what its all about. What does MBP say? My comment is about the works of Ted Nikolov and Karl Zeller : they processed NASA data about rocky planets temperatures, and they discovered it depends only on the pressure, not on the gas involved. So to say, in the case of Earth the long term temperature would not be linked with CO2 or O2 or N2 or anything else, it is link to pressure so to say to the gas mass and the size of earth. They applied their model to Pluto, and calculated the temperature before the NASA data about Pluto has been available, and it was quite accurate. I have heard about an other fact : CO2 absorbs only 2 frequencies, and the amount of energy the earth is able to radiate is absorbed by the CO2 contained say in the first one hundred meters of atmosphere, so you can add any amount of CO2, it would not contribute to the so called “greenhouse effect”. BigPhil- this the right place for good science. Thats a compelling article about Zellar and Nikolov . Numbers matter, especially when they add up gestalt like. Here’s link to Zeller and Nikolov paper. This is too good to be true. Something like a silver bullet to GND,ACO and all Co2 Nazis. Yeah , it is just what I wanted to hear, but it sounds so good ! thank you for the link, I will try to study it (as far as I can do it, my thermodynamics is burried in the years…). If they were a fraud, the “carbon correctness forces” would have smashed them with ridicule. I am astonished that such a discovery seems so badly known : as you say, a sliver bullet ! BigPhil; You are so right about ” the carbon correction forces “. Boltzmann’s equations are way over my head but not so far that the lies of Maurice Strong can’t be spotted. The frequency link states that clearly too. Very interesting . Barometric pressure and frequency are so obvious. Tesla said how important frequency was to understanding reality and Im about sold on some of the electric universe ideas . …exhilarating…uplifting! then terrifying mit Aaron Swartz…yet cautious enthousiasm…? I’ve been stricken with a terminal case of Disney Dementia! Any other valiant hamsters out there feeling the irresistable urge to save the planet by throwing themselves into the Arctic sea?? But that’s just my fear speaking. A tool is what its purpose makes it. Science is a tool of the mind which itself is a tool or focus of thought in desire and intention. The whole idea of mind capture is first and foremost the loss of a whole souled awareness for a mind of surviving a loveless or conflicted purpose and thus of conflicting relations in a conflicted world. That goes deep into the predicates of consciousness. But our purpose is fundamental to all that then follows. And surface thinking of narrative ‘continuity’ masks over much that is hidden in the beliefs and presumptions as to who we are and what we are for – or what life is for. The purpose of uncovering the already true to a greater or clearer human understanding and shared tangible release of false ideas, conflicts and limitations is a true endeavour in any discipline. Science is a particular toolset extension of a deeper self honesty or it simply serves as a toolset extension for self-deceit or self-illusion. Self-illusion is a key facet to human consciousness that makes an imaginary model of itself and world and lives by it – and in some sense loses its true or native communioned awareness for a matrix of mind-substitution. Regardless the appearances we have to on some level willingly assent or subscribe – but NOT generally at a level that is accessible to our sense of subjection to a world outside our control – which while ‘normal’ abnegates our inherent capacity to give meaning to experience rather than simply suffer as if it has built in meanings. The mind that frames in language of symbol, phrases and meanings is a creator. The idea of a reality apart from and outside the mind of its beholder rises from the attempt and intent to hide our Cause and take self-power from grievance. But this means that there is a way of seeing the world that reveals us to ourselves – and heals or reintegrates a conflicted and fragmented reality experience. In this wise, science serves recognition of truth because Garbage in; garbage out – leads to clearing the mind of false assumptions as a result of honest assessment of results. However personal investment operates a garbage distribution system or power struggle that effectively blocks or diverts any desire to know. (Into marketising and weaponising purpose of possession and control – set against deep and ancient fears. This is the solution that I can stand behind. It also gives more resources (and work) to locals. There is probably a technocratic catch somewhere. This codger was a ‘D’ student in school, but he liked general physics. Winter temperatures in Alliance, Nebraska (just south of Rapid City, South Dakota) can drop to -20°F (the record low is -40°F/C), but retired mailman Russ Finch grows oranges in his backyard greenhouse without paying for heat. Instead, he draws on the earth’s stable temperature (around 52 degrees in his region) to grow warm weather produce- citrus, figs, pomegranates – in the snow. Homey: that’s a great story. If I could do that for the next 25 years I’d die a happy man.